The instructions and screenshots on this page were created using SUSE Linux 9.1 Professional and KDE. Don't let that scare you if you have a different version of SUSE, it is safe to assume that while the specifics found in these instructions will vary between versions of SUSE, the general idea will remain the same. 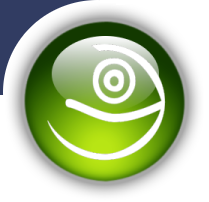 I am currently using multiple versions of SUSE and I go through this site often to mention any version-specific points. Updating installed software (also often called "packages") for SUSE is made about as simple as Linux can make it through YaST. The section of YaST that handles online updates is called "YOU". Open YaST and click on "Online Update". You are presented with some options, under "Installation Source", select a mirror that is geographically close to you. Below that, you'll see a field where you can manually enter an update location (for now leave this alone), it should currently show the URL of the update location you selected above. You can also add a "New Server" or "Edit Server", again, for now, leave these alone. Below that are two boxes, if you've ever used a computer before, check "Manually Select Patches", on the following screen you'll be able to choose what you want and leave the rest. The second box is "Reload All Patches From Server", it should normally not be checked. Finally, you can configure automatic updates; if you have broadband and leave your box on all the time you can use it if you want to; I like to do it manually. Once you're happy with your selections, click "Next". Your machine will contact the server you selected and see if there are any updates available for your installed software. Depending on the time of day, your internet connection, and other factors, this can go quickly or it can take a little time. Once complete, you will be given a new screen. There is plenty to take in on this screen, we'll just hit the basics; it is often a good idea to maximize this window so you can see all the information a little easier. YOU will display what updates are available for your configuration in the top left box. Highlight a patch to see a description of the patch in the lower left box. More information including the size of the patch and version information can be found by highlighting a patch and looking in the top right hand box. Additional information including what packages the patch effects and its dependencies can be found in the lower right box. To select a patch for downloading, check the box next to it in the top left box. It is not necessary to download all available patches. Some may effect utilities you don't use or may be for hardware you don't have. For the most part, the descriptions are fairly good and should help you decide if it is an update you need. If it is a patch to existing software such as a kernel update you will see a "swirl" icon signifying an update. If you elect not to download this update, you would just click on the box until it displayed the check. Other updates may be completely new packages, to download such updates ensure the box is checked; leave the box blank to avoid downloading the new package. Should you get confused about what the symbols mean, click on "Help -> Symbols" for an explanation. Once you have selected which packages to download and update, click "Accept". The following screen will display the progress as the selected updates are downloaded and installed. Some packages may require you to agree to licensing terms or may have additional instructions on how to proceed with the update. You will see a checkbox near the bottom that says "Remove Source Packages after Update"; check that box if you do not want to keep the source packages. Leaving the box blank will save the source package so you can reinstall it later should you ever need to. I check it to save disk space, I figure if I ever need it again, I'll download it again. Once the download is complete the "Finish" button in the bottom right corner will become active. Click it and you will be taken to a new screen. This screen shows the progress as various systems are restarted so the new updates can be integrated with your system. Once this process is complete the screen will close automatically. You're done!